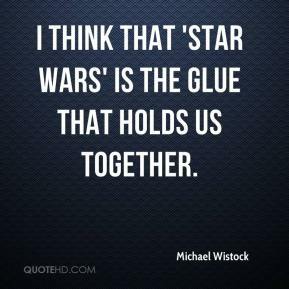 I think that 'Star Wars' is the glue that holds us together. I watched him. He was on the edge of his seat. He was smiling and his eyes were really wide. I just got goose bumps. 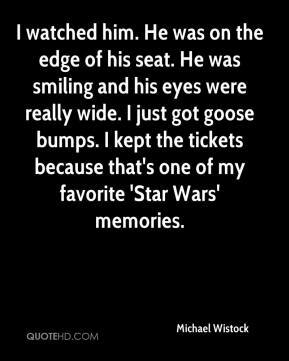 I kept the tickets because that's one of my favorite 'Star Wars' memories. The Dark Side of the Force could be alcoholism or a guy who beats his wife. 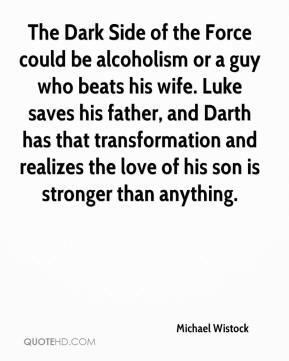 Luke saves his father, and Darth has that transformation and realizes the love of his son is stronger than anything.